The dark honey is amber color, the reddish honey is light amber color all the rest of the honey in the picture is considered white honey. The state fair is coming soon. This is the time for beekeepers to show their craft to the whole state of Minnesota. 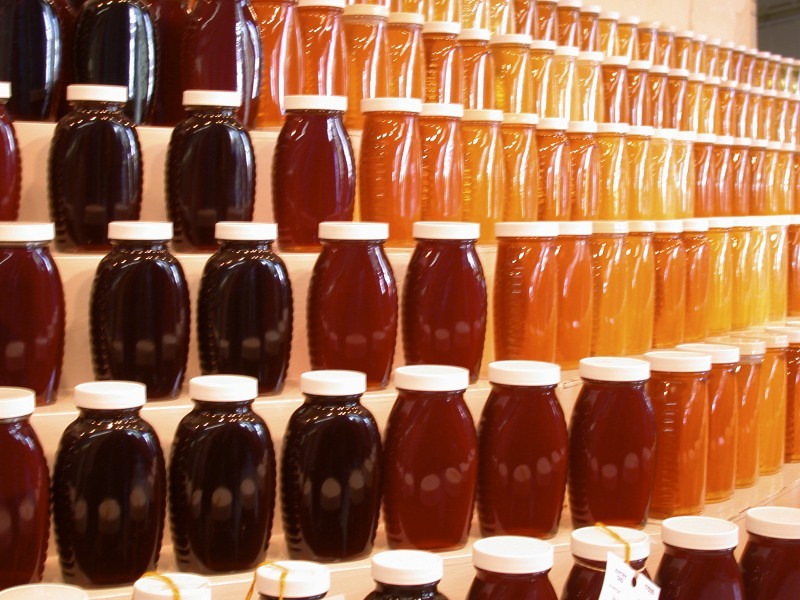 A honey entry into the fair helps promote the honey industry to the general public. The honey display at the Minnesota fair is one of the biggest fair displays in the United States. Entering the fair has made me a better beekeeper. The lessons learned in bottling honey for competition stays with me in my day to day bottling. The wide variety of categories to enter is easy for anyone to find something to enter. Find the honey and bee section. The honey competition has an open class and a novice class. You do have to preregister by a certain date to participate. Entries can be made online. Read the entry carefully and follow the description. This is competition so attention to detail is crucial. Entering the fair is fun, your family and friends will want to come and see your entry and you may win $$$ and a ribbon. It is a good marketing strategy to say that you have award winning honey. The best in the state. As a beekeeper your entry will be helping the honey industry and help bring public awareness to the valuable things that honeybees provide. Smoker safety is always something that should be on the minds of beekeepers. This fire that started above is from a smoker that had too hot of a fire going inside. The resulting fire could have been prevented if the beekeeper had realized that the internal fire had a large amount of coals that were cooking an inferno. I believe that fireplace pellets were being used. While these pellets in large quantities work well at staying lit. The name is a good clue, Fireplace Pellets. Beekeepers checking many colonies will use more than one smoker. If a smoker is getting too hot they will start another one. Care needs to be taken when using any type of smoker fuel. When beekeepers light smokers many hazards can be around. Gasoline for a weed trimmer or lawn mower, dry grass around the bee yard, combustibles in the back of a vehicle or garage. It is always a good idea before lighting a smoker to look at your surroundings before firing up the smoker. Explosions from gasoline containers or fires from careless use of the smoker can be prevented with some foresight. Remove combustibles from surroundings when lighting a smoker. Gasoline and gasoline powered equipment have combustible vapors that can collect. Move them a safe distance away and make sure vapors have not collected before striking a match. This also goes when leaving the beeyard. Loading up a vehicle with all of this equipment, if the smoker is still going, vapors can still find an ignition source. Have a fire extinguisher readily accessible to put out any possible fire. Make sure the smoker is out before leaving it unattended. A non combustible metal enclosure for a smoker is a good storage option. Beekeeping is a great hobby. As with any hobby, safety is a big concern. Take the time to be safe, think the project through and look for all hazards that may present themselves. The nectar flow is still chugging along. Some areas are still experiencing a flow, some areas the flow has waned. The bees in some locales have been displaying robbing behavior. I got a call from a beekeeper who told me that bees were flying in and out of his neighbors garage. I told him there was either a swarm in the garage or they were robbing something. He investigated it and called back. The bees were going after empty pop cans. Honeybees normally never mess with pop cans. But when the water evaporates out of the pop, the sugar level increases and it then becomes attractive for robbing. White Sweet Clover is done in the metro area. The hay fields are blooming and ready for their second cut. Spotted Knapweed is blooming and seems to be quite widespread. Purple Loosesteif is blooming in swampy areas. 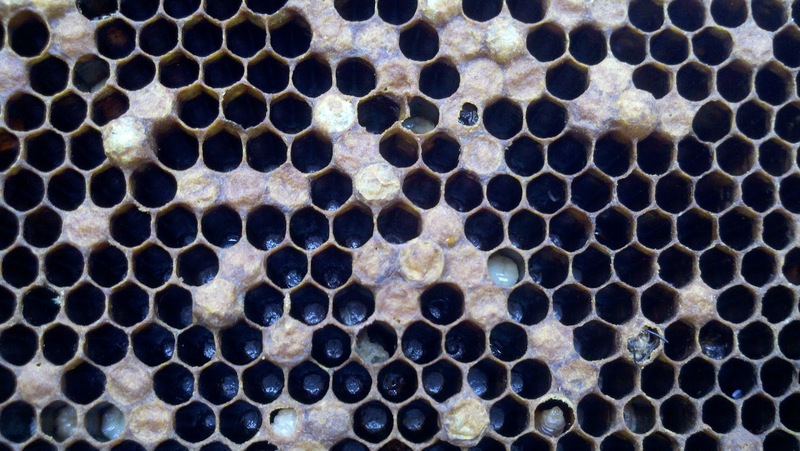 Many beekeepers have experienced very good nectar flows so far with 4 - 6 supers filled on their colonies. 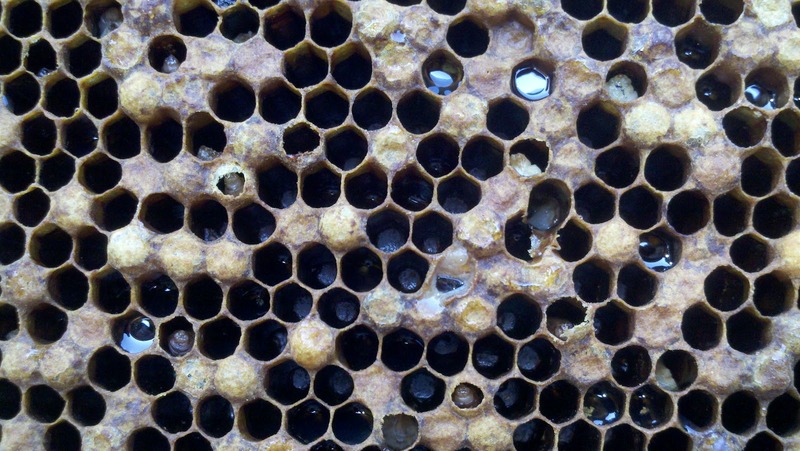 Some beekeepers have had their best year ever. Goldenrod is on the horizon. If the Goldenrod nectar flows, this will end up being a great honey season for everyone. Other times available by appointment. Please call. 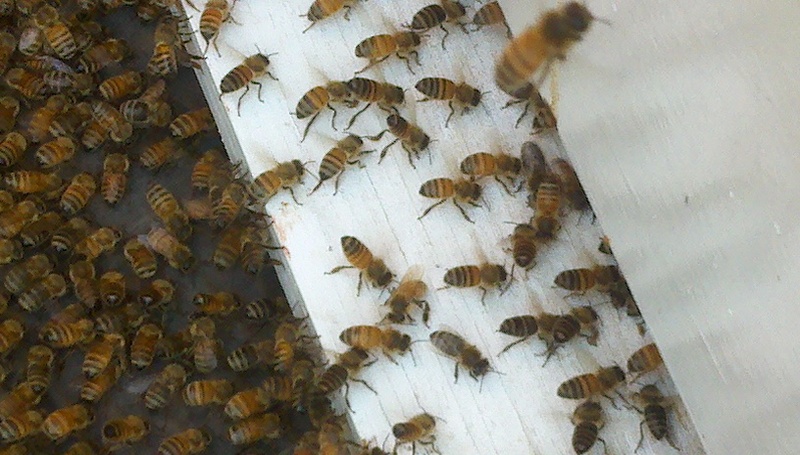 The high heat that has been upon us lately has kicked swarming back up. I have had several swarm calls the last two days. I picked up this swarm in the 100+ heat on Friday. Of course I had a full bee suit in my car not my jacket. Just to make the event more memorable. 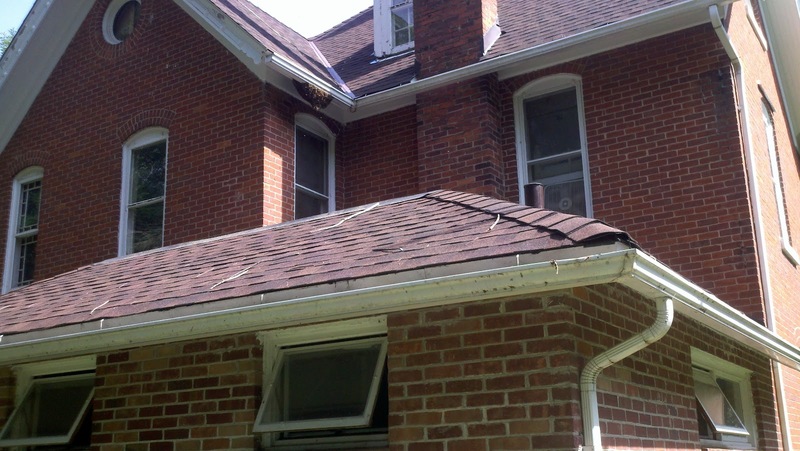 The bees had been in the house through eaves that were rotted and had holes in them. The high heat drove them back out to for under the eave. I crawled up with my box and a broom. I removed some frames and held the box up as high as I could with one hand and swiped them with a broom with the other hand, knocking them into the hive box. There was still many bees hanging in a cluster under the eave. 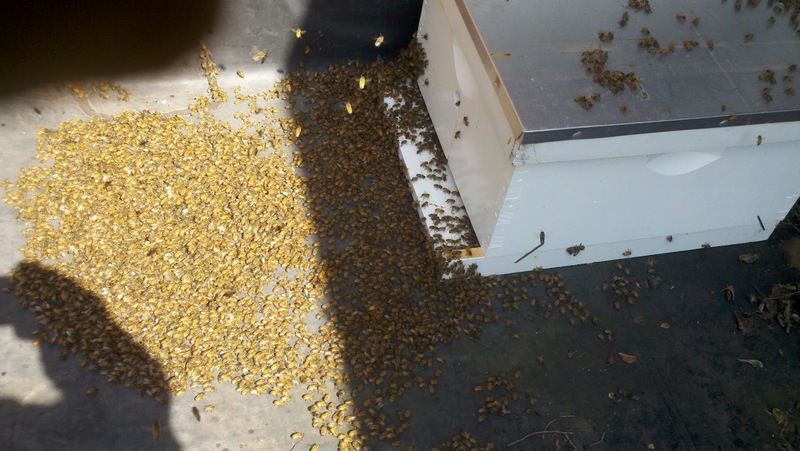 I set down the box and swiped the cluster with the broom knocking the bees down into the box and onto the roof. The black roof in the sun was over 160 degrees F. Because I put my hand on it climbing up there with the box and burned my hand. The bees that landed on the black roof moved into the box very quickly. I guess the hot roof helped the decision to go into the box. Went back to the swarm at 8 pm last night (with my bee jacket ) and all the bees had gone down to the box. Being that it was still in the upper 90's the bees were covering the front of the box, too hot for them to totally go in. There were so many bees on the front of the box that I couldn't see any white paint of the box. To bad I left my camera at home. My plan is to retrieve them on Sat evening around 8:45 pm and add them to a weak colony. The Crud responds well to Terramycin. The pic is one example of a pre-mixed powder. 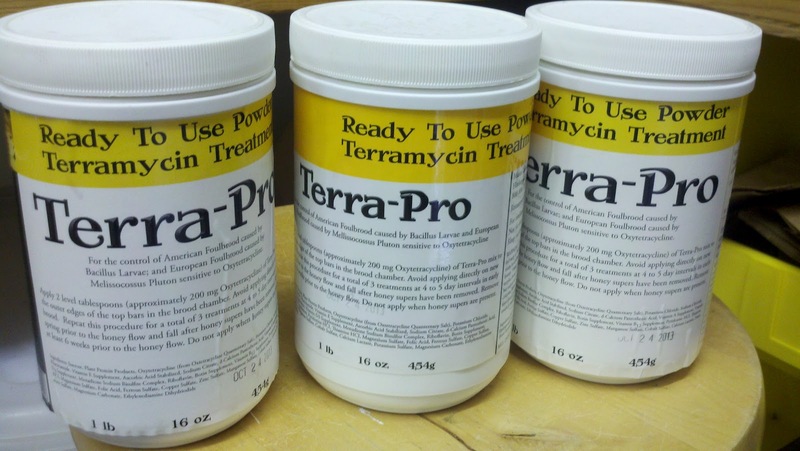 The Terramycin is pre-mixed with BeePro pollen substitute. Always follow the label for proper dosage and application instructions. Supers are off the hive when using this product. The label gives the timing of when they can be put back on. Always apply Terramycin to the outside edges of the brood nest. 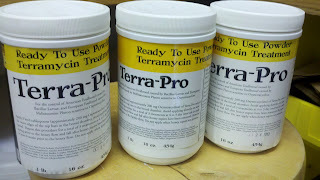 Terramycin does break down quickly in the hive. Tylan on the other hand has a longer break down period. Both are safe to use and are FDA and EPA approved for treating honeybees. There is a brood disease going around. Some beekeepers have called it the Crud for lack of a long Latin description. This disease I have seen in over wintered colonies. It looks like a little like AFB, a little like Europeon foulbrood, and a little like Chalkbrood. But really not bearing all the symptoms. I had two beekeepers stop by last week that had foulbrood but this is different. No shrunken perforated cappings, no roping when punctured with a toothpick and no scale on the comb. I have heard of several beekeepers having this. My buddy running 200 colonies had it. The beekeepers dusted with Terramicin and it quickly went away. Looking at the pictures it is plain to see, if your larvae is not pearly glistening (wet looking) white, something is wrong. Where are the hives at? Are you ready for supers now? Right now most new beekeepers have their third box on or the second box is done and supers are on. The third deeps are close to being full. If the third deep is full of honey do not do a reversal. This honey is the bees winter honey. Putting it on the bottom will give the bees no room for the queen to lay because they will fill up the new top deep with honey also. That is too much honey for the colony. Leave that top deep full of honey as the top box and put on honey supers. Honey supers have to be put on if the lower boxes are done being drawn out. 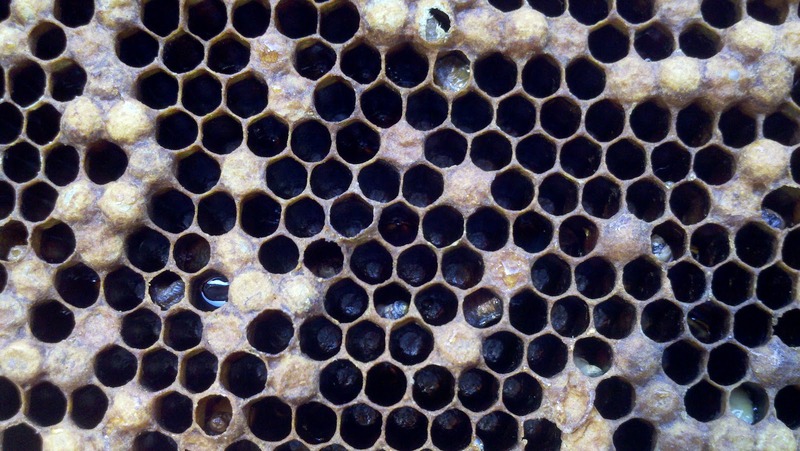 Some new beekeepers want to save all the honey for the bees and not put on supers. 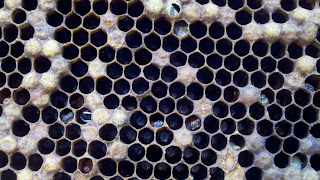 The result of this is the bees will fill up the hive with honey leaving no place for the queen to lay. The colony population will go down and the bees will not winter. So supers on when the hive is ready. When the supers are new I usually put them on without a queen excluder at first. Once the bees start drawing some comb and putting a little nectar in the first box, I then slip in the excluder. Most of the time the queen does not slip up here. If she does, I find the frame she is on and pull the supers off, I gently coax her off with a little smoke while the honey frame is resting on top of the deep frame of the top box. The bees will get off the super frame and move down into the lower deep box. The nectar flow continues at a pretty good clip. My basswood trees are done as are most basswood in the metro area. The Japanese beetles have been moving in and are starting to munch up the leaves of my basswood trees. White sweet clover is still blooming across the area and is still in heavy bloom with no sign of waning at the moment. Thistles are also in bloom. Many hay fields are regaining their luster with their second cutting in the near future. Alfalfa produces more nectar when it blooms after it has been cut once. The warm days and nights do give the bees an opportunity for a full day of work away from the hive. But swarming issues can always arise with the hive being hot. Normally after I get the supers on and they start getting heavy, I stop looking for swarm cells. Too hot and too much labor. The next flows coming up are the perennial wild flowers and some of the non native weeds i.e. Spotted Knapweed, Purple Loosestrife. 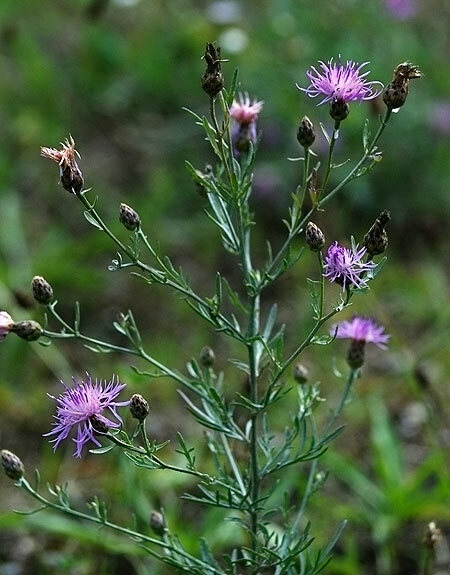 Both Knapweed and Loosestrife are great honey plants. While they should never be propagated because of them being invasive. If they are here the bees will use them. Knapweed honey has a butterscotch flavor, Loosetrife honey is a greenish color and looks like new motor oil. The nectar flow seems strong still. We need some rain to keep it going.